In 2009 Garanča headlined Carmen opposite Roberto Alagna at both Covent Garden and the Met, where her definitive performance in Richard Eyre’s production was broadcast Live in HD to more than 1,000 movie theaters worldwide. She returned to the Met as Mozart’s Sesto. Both her Sesto and Cenerentola were also transmitted to cinemas around the globe in the company’s Live in HD series, and all three were subsequently shown on PBS TV’s “Great Performances at the Met.” The mezzo’s iconic performances as Carmen and La Cenerentola have since been issued on DG DVD, and she was chosen to join Julie Andrews, Audra McDonald, Itzhak Perlman, and other stars at a televised concert to celebrate the 40th anniversary of the “Great Performances” series. 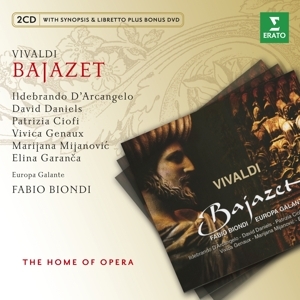 The mezzo collaborated with Russian soprano Anna Netrebko on recordings including Bellini’s I Capuleti e i Montecchi with Fabio Luisi and the Vienna Symphony, and Donizetti’s Anna Bolena at the Vienna State Opera, which was televised and released on DVD. The pair appeared together in an Opera Gala of the Stars at Baden-Baden that was broadcast live to a German television audience of over two million and issued on DVD. 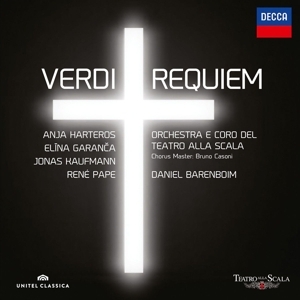 Among Garanča’s other distinguished concert recordings are Verdi’s Requiem with Daniel Barenboim at La Scala, Beethoven’s Missa solemnis with Christian Thielemann and the Staatskapelle Dresden, and a New Year’s Eve Concert with Gustavo Dudamel and the Berlin Philharmonic. She sang in Vivaldi’s Bajazet with Fabio Biondi on the Erato label, which was nominated for a Grammy and won a MIDEM Classical Award. As an exclusive DG recording artist, she has released five solo albums. The first, Aria Cantilena, won the ECHO Klassik “Singer of the Year” award; she scored a second with Bel Canto, also a BBC Music magazine award-winner. Her last two albums for the yellow label have also both took ECHO Klassik awards, in 2012 for Romantique and most recently in 2015 for Meditation. During the 2016-17 season, Elīna returns to the Bayerische Staatsoper Munich (in a new production of La Favorite), Paris Opera (Cavalleria Rusticana) and to The Metropolitan Opera (Der Rosenkavalier). On the concert platform she sings Mahler songs with the Los Angeles Philharmonic and Gustavo Dudamel and will embark on a major European tour to promote her new Deutsche Grammophon record. She will perform for the first time in Mexico on a four-concert tour and will also star at various festivals and galas throughout Europe and beyond.